As a young mum of 2 young girls, having lost my mum, mother-in-law & my best friend, I was took aback when I was finally diagnosed with Emotionally Unstable Personality Disorder this January. I had suspicions & the debates between this & bipolar had taken 3 years of being in the mental health community, even though I had first been seen by a psychiatrist aged 16, almost 20 years ago. The first problem I encountered as I left the surgery that day is, it was written on a piece of scrap paper & I was told to look it up on the internet & once friends & family saw it, they would know that’s what I had. I also was then informed that the CBT, Cognitive Behavioural Therapy, which had been tried & been unsuccessful for me was unsuitable & instead I needed DBT, which as written so perfectly above was Dialectical behaviour therapy. I’d never heard of it, yet the hope & excitement of treatment felt reassuring. Sat in the psychiatrist office alone, while the psychiatrist went to discuss my case with someone else, I wasn’t quite sure if I’d be rushed off to be sectioned, my kids would be taken away or I’d lose my job. But no, none of the above. But not just none of this, nothing. Nothing was done. I went home with a piece of scrap paper, told I’d see a psychiatrist again in May (5 months away) and that the average waiting list for DBT was 2 years, meaning an estimated start date of January 2020. I don’t know how I drove home. When my husband arrived home he asked all the same questions I had thought, but had been unable to ask. So what happens for the next 2 years? I didn’t know, & if I’m honest I still don’t! I spent all evening til the early hours searching on my phone. It was several hours before I made the connection & realised that Borderline Personality Disorder was Emotionally Unstable Personality Disorder. It’s also referred to as BPD & EUPD. So each search meant searching for different names & no website seemed to be consistent. The mind website, which I have to say I find the most user friendly, still refers to it as Borderline Personality Disorder, so if it’s changing, who makes that decision. If you ask me it’s the bit that needs changing is “Personality Disorder” because fundamentally it sounds like there is something wrong with who I am. I soon learnt it probably was a good example of who I was & the symptoms I had experienced since I was younger, but it didn’t make for pleasant reading. According to NICE statistics b) Estimates of the prevalence of BPD vary between 0.7 and 2% in the general population. It is estimated to be present in 20% of in-patients in psychiatric wards and between 10 and 30% of out-patients. It is a disorder predominantly diagnosed in women (75%); although again estimates vary and most of these studies have been in clinical populations, where women predominate as they are more likely to seek treatment. Other estimates indicate that the rate in men (1%) is two and a half times that in women (0.4%). The NHS talks of “intense but unstable relationships with others”, which didn’t help with my insecurities about my own friendships & family relations. And having lost my best friend kirsty to suicide in September 2016, my chances did appear hopeful either, between 8-10% of those with BDP will complete suicide according to Very Well Mind, with over 70% attempting it & I had already become one of these statistics over 8 years ago. How great for my psychiatrist to suggest looking it up online! I had a CPN and bombarded her with text messages, preferring to write than speak. She was lovely, & still is, but she can’t cure me. The first week I just broke down. I was signed off for a month & just lay on the sofa in complete feeling of failure at life. What was the point? But I can’t leave the kids? Would I be better hospitalised & “made” better. After the first week, my mood swang 180 degrees. I decided I could make myself “better” within my signed month off work. I sat down around 2am as sleep had just become something I drifted in & out of over any 24 hour period. I sent over 100 emails from local organisations & charities, not national ones. I emailed private rehab clinics & private practioners. Apart from a couple of very expensive options such as the priory for several hundred pounds per night (which believe if i could afford I would have jumped at, id fo anything to improve my mental wellbeing and be a better mum), it was fruitless. I ordered a SAD light box, several DBT & borderline personality books. I downloaded yoga videos, mindfulness apps, rejoined slumming world & got a health Referral to join my gym. Needless to say that within 3 or 4 days I had burnt out & decided it was all useless, I was useless & there was no hope. I felt empty, confused & alone. One night I just decided to write everything down, my first, well technically 2nd ever blog, on the 18th February 2018 I wrote “My Personality broke“! It was initially meant to share the news with my colleagues before I started work, terrified of judgement, but also aware of my inability to lie & say I’d been off work with flu or some other more understandable reason. But suddenly I found a world of support, advice, kindness & acceptance. And without realising it I became a mental health & lifestyle blogger. So today I’m almost 6 months into my 2 year waiting list for DBT & it can’t come quick enough, but I’ve learnt that I can help myself get better. I have to take advice from others when I’m unaware, I have to ask for help when I need it, I write & blog a lot for my form of therapy. I’ve changed my work role & reduces my hours, but I’ve found a passion in raising awareness about mental health & wellbeing. I’ve been interviewed on radio, had blogs published by national charities & hosted a wellbeing & mental health event. I even managed a family holiday to Orlando, challenging every Anxiety I had. 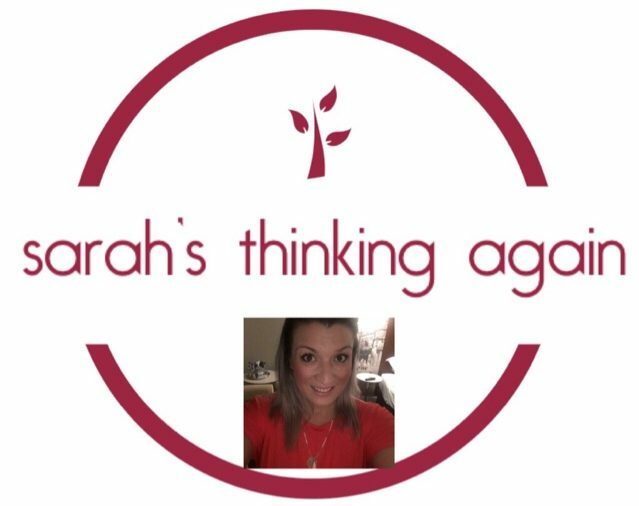 Hello there Sarah, I’ve just found this blog quite by accident but oh so glad I did. I like the way you write so candidly, like “ there’s no flies on me” kinda thing. The reason you resonate with me is this, apologies beforehand if this gets too long, I’ve got a 19 year old Daughter, who is in a mental health unit in her university town. She’s been there now four weeks and has been diagnosed with the exact same issue as yourself. She started to self harm when she was 14, but trying to get help was like getting blood from a stone. The school really wasn’t much help and pi it down to teenage angst. Looking back now, she always had problems maintaining friendships, going from one to another always blaming someone else for the friendship to break down. I kinda guessed she wasn’t right, but when I asked she vehemently denied it, so what can you do??? Four weeks ago I get this message that she’s in this mental health unit, a two hour drive away and could we go to her student accommodation and pick some stuff up for her!!! Yes that’s fine, but what I found will probably haunt me for the rest of my life. I found lots of pills, snapped in half and a handwritten would be suicide note. To say I was shocked, I was totally unprepared for that. I also found lots of discharge notes from varying hospitals around the area, all of them saying OD with intent. So it was obvious she’d attempted it before. Since the diagnosis I’ve looked and looked at it online and it could have been written just for her. Everything, apart from childhood trauma, related to her personality., all the traits were her. I’m not too sure if she’s on the right track because the hospital staff can’t tell us anything because she’s asked them not too, probably because she doesn’t want us to worry or know what she’s done. Anyway I’m sorry for the long winded message and I hope you get the support and help you need. I guess I just needed to vent some of what I’ve been feeling the past four weeks, it’s not something you tell your work colleagues when they ask if you’ve had a good weekend.